A simple definition of a community foundation is a “pooling of resources in the community for the community”. Technically speaking, it is an incorporated not-for-profit organization which is registered with the Canadian Customs and Revenue Agency as a tax-exempt public foundation and is allotted a charitable registration number. The foundation is allowed to issue income tax receipts for contributions. The purpose of the Bulkley Valley Community Foundation is to create opportunities for donors to support local initiatives, organizations and individuals to improve the quality of life throughout our communities. A Board of Directors is responsible for overall policies and practices of the Foundation. Check out what is happening at the Foundation. ​Questions, comments, or any anything else, contact us. 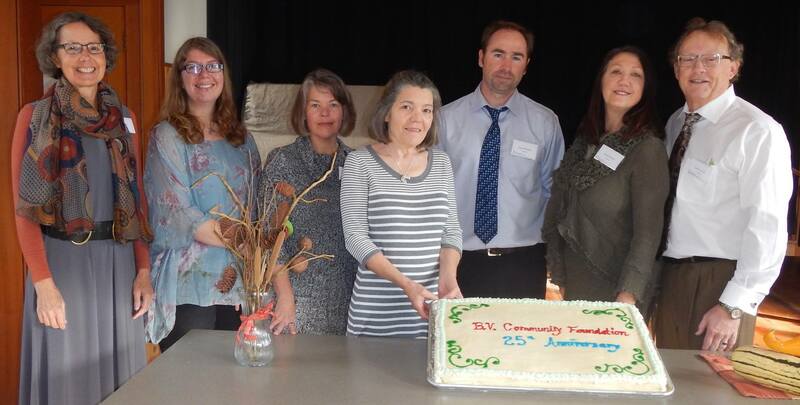 ​BVCF Annual Reports summarize the year’s grant awards, donations and learning awards.